C51 believes in democracy. We encourage everyone who shares our values to meet at our place, create new friendships strengthen the old ones. 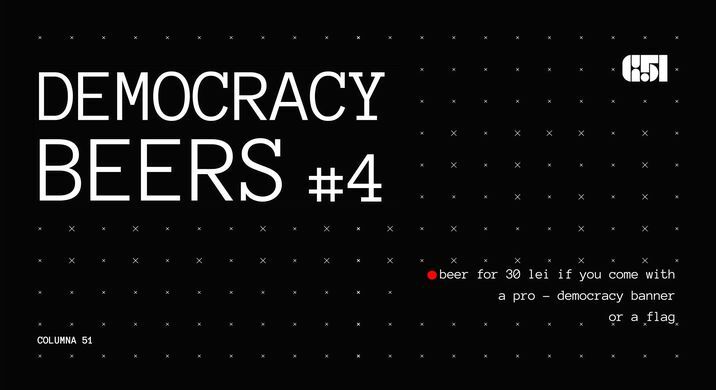 Come to C51 with a poster, a flag or a t-shirt with a pro-democracy message and pay a discount price of 30 lei for IPA beer from ELVIS. We also have Labrewtory beer!